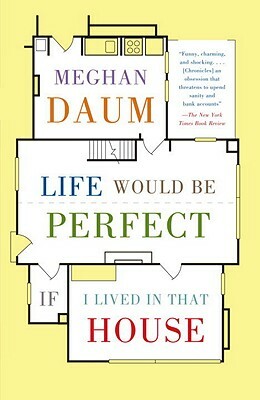 In this laugh-out-loud personal journey, acclaimed author Meghan Daum explores the perils and pleasures of believing that only a house can make you whole. From her teenage apartment fantasies and her mother’s decorating manias to her own “hidden room” dreams and the bungalow she eventually buys on her own, Life Would Be Perfect If I Lived in That House is the true story of one woman’s quest for the four perfect walls to call home. Meghan Daum is the author of the essay collection My Misspent Youth and the novel The Quality of Life Report, a New York Times Notable Book. Her column on political, cultural, and social affairs appears weekly in the Los Angeles Times and is distributed nationally through the McClatchy news service. She has contributed to public radio’s Morning Edition, Marketplace, and This American Life, and has written for numerous publications, including The New Yorker, Harper’s Magazine, GQ, Vogue, Harper’s Bazaar, and The New York Times Book Review. She lives in Los Angeles.